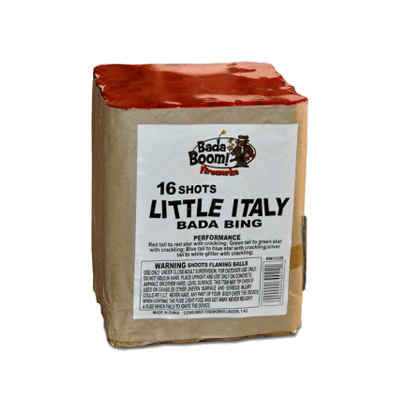 Little Italy – 16 shots. Red peony with red tail, silver peony with silver tail, blue peony with blue tail. Donatello - Rising green palm tree to green palm with red glitter, rising red palm tree to red with chrysanthemum.